Of the vegetable oils that have been tested for heating-induced aldehyde content, olive oil actually performs reasonably well. 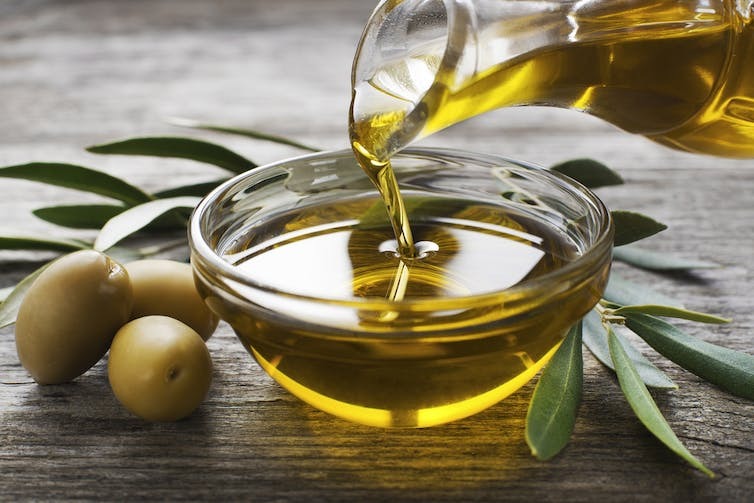 Researchers from the University of the Basque Country analysed olive, sunflower and flaxseed oils for their aldehyde content after the oils had been heated to 190℃. They found that heating the polyunsaturated sunflower and flaxseed oils produced greater quantities of aldehydes more quickly, whereas heating monounsaturated olive oil created fewer aldehydes and much later in the heating process. This is thought to be because of a structural difference, with polyunsaturated oils containing more regions ripe for chemical reaction. Experiments performed for BBC’s Trust Me I’m a Doctor confirmed this, suggesting that heating olive oil, butter and goose fat produced similarly lower levels of aldehydes. These experiments collectively suggest that if you are going to fry, choosing olive oil is one of the better options. Importantly, very little is known about what constitutes a low or high dose of aldehydes in food in humans. There is some data from animal studies, but the conclusions we can draw from them are limited. If olive oil is used to shallow fry foods for short periods, it is unlikely that your body would be exposed to greater concentrations of aldehydes than it normally would as a result of your body’s normal metabolic processes, mentioned earlier. While there are clearly healthier ways to cook foods, frying food with olive oil is unlikely to be significantly bad for your health. Heat causes chemical changes in all oils and this alters their aroma, flavour and nutritional content. Overheating oil during cooking will result in a dirty smoky kitchen, poor tasting food and the creation of harmful chemicals. Olive oil is no different from other oils. If you burn it (heat it above its smoke point) it will taste bad and it will contain harmful chemicals. Smoke points tend to increase with olive oil quality, as the free fatty acid content tends to decrease and the antioxidant content increases. The high antioxidant content of olive oil could even reduce the amount of harmful chemicals produced during cooking. 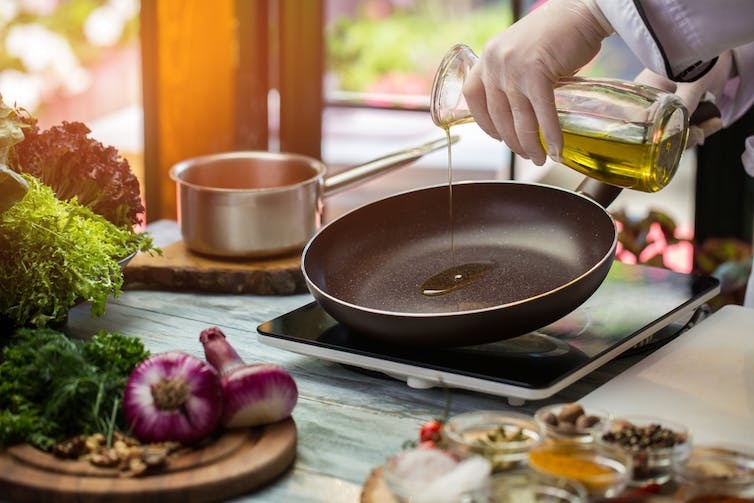 When cooking with olive oil, any potential harms can be reduced by using high quality oil and making sure you keep the oil below its smoke point; it will also make your food taste nicer. So I agree with the author: frying in general is not the healthiest way to prepare food, but if you are going to fry then frying in olive oil is not a bad choice. If cooking with olive oil was that bad for you there would be population-based evidence to support the argument.